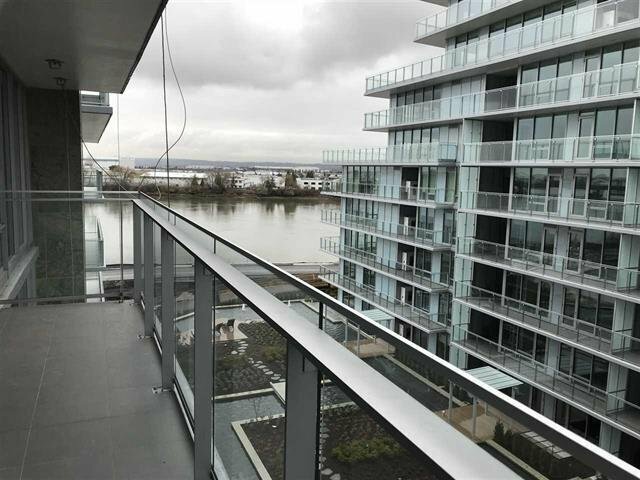 River Green 2, the significant waterfront development built along the shoreline of the Fraser River in Richmond. The River Green Community's views are composed of the beautiful North Shore Mountains and the water view. Enjoy the exclusive resorts available to you: pool and whirlpool, club house, signature water garden and the fitness centre and yoga room. 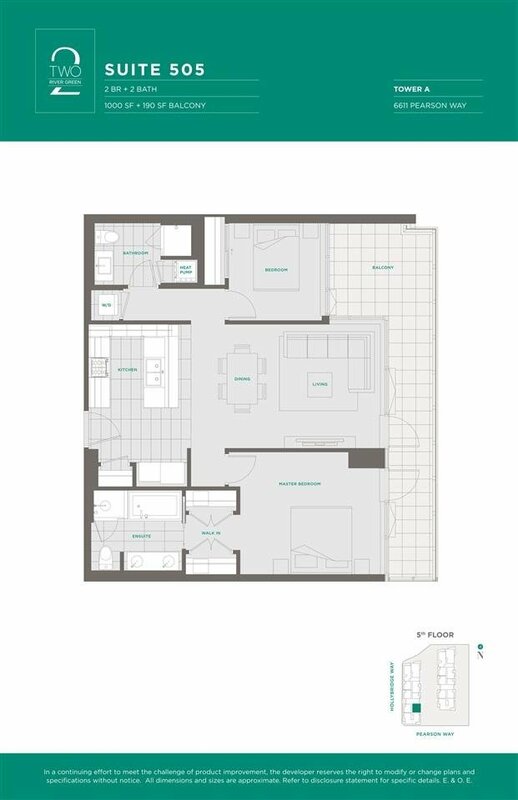 This 1000 sqft unit comes with 2 bed and 2 bath plus 190 sqft balcony. Sub-Zero refrigerator, Miele appliance package, and 9 ft ceiling in living area. 24-Hour Concierge to ensure highest level of personal service and security for residents. Private shuttle bus to City Centre and Canada Line, Steps to river dyke, Oval, T&T and restaurants.